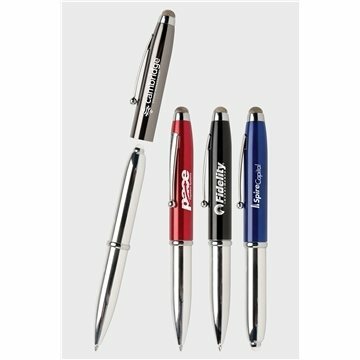 Point, write, or shine your way to promotional success! 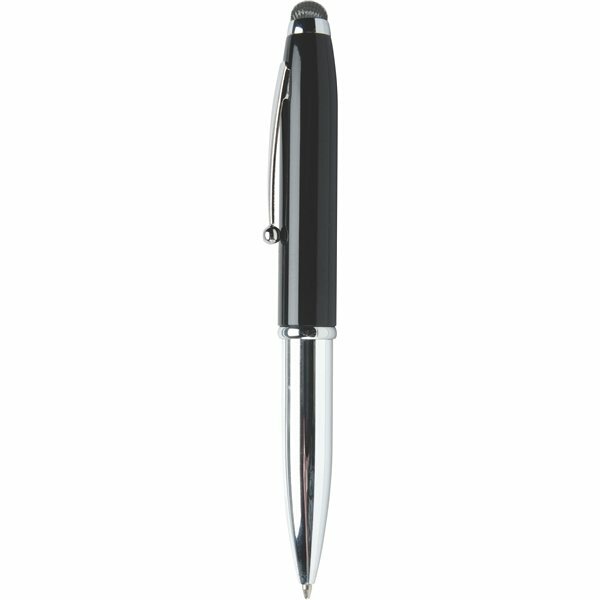 Macy Triple Function, 3-in-1 multitasker features a ballpoint pen that quickly changes to a stylus pull cap with advanced connectivity for all touchscreen devices with a bright and powerful push-to-activate LED flashlight. 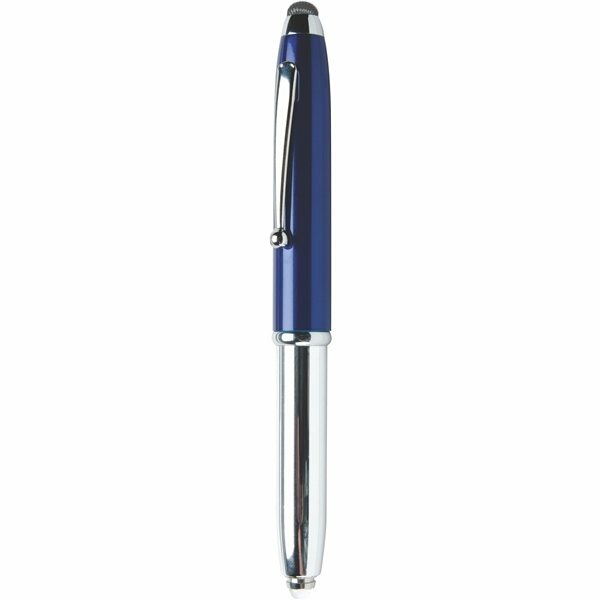 Offered in attractive colors, the high gloss chrome and enamel barrel comes with a silver engraving of a logo, name, or custom design to get your promotional message across.